Something as simple as a soak in the bath after a long stressful day can help soothe the day’s aches and pains – both mentally and physically. Many people find comfort and benefit in this…but do many people actually know WHY it can have such a powerful effect on our well-being? Hydrotherapy is a recognised method of stress management – it is even prescribed by the NHS on regular occasions! 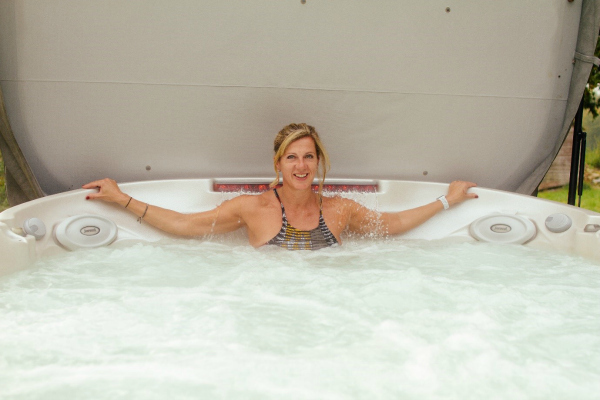 If you’re going to use hydrotherapy to de-stress, make sure it is true hydrotherapy so you get the maximum impact – Jacuzzi is the only brand of hot tubs that offers you true hydrotherapy! This is all thanks to our Aqua-Librium…put simply we have created the perfect balance of air and water targeted to exactly the right places, which maximises all the benefits. Those in support of this alternative pain relief method claim that during times of stress, tension or pain your blood pressure and heart rate increase – which can then be combatted and even stopped by regular dips in a Jacuzzi hot tub. 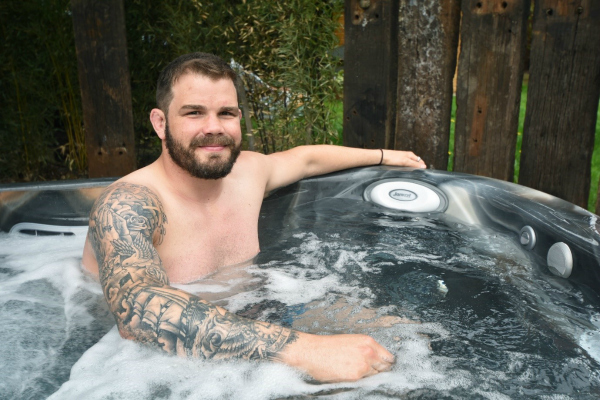 By lying back and floating in your hot tub you are able to relieve swollen joints and even put a stop to the body’s stress reaction before it starts! And they say, the more you do it the stronger the benefit! 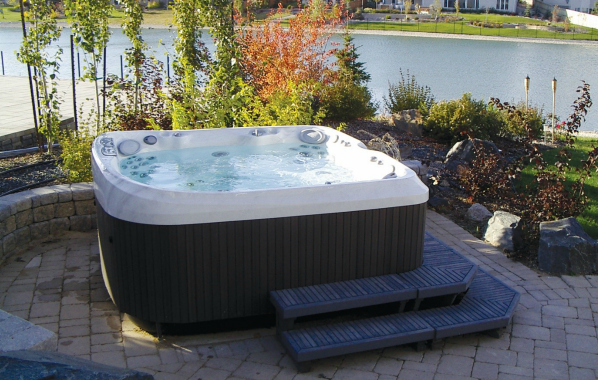 Jacuzzi owners across the land say that the first five minutes in your hot tub will bring your blood pressure down and induce a calming effect – followed by increased circulation and lessening tension within the body. A-MAZ-ING we hear you say! Regular use of a hot tub can see your immune system improved, increased energy, clearer complexion and an overall improved feeling of well-being. So, jump in – what’s the worst that can happen? The more common and conventional variations of hydrotherapy are universally recognised as being of benefit to our bodies and our minds – whilst being completely natural and safe! The Ergo Group deals with the finest quality outdoor and luxury products and is proud to partner with Jacuzzi® through Hydrolife. You must accept the terms of agreement.